A well-articulated Performing Arts curriculum builds a mastery of skills. The music program begins in kindergarten with an introduction to music theory and history. Students explore rhythm, harmony and melody through instrument playing and movement. Third graders study the recorder. 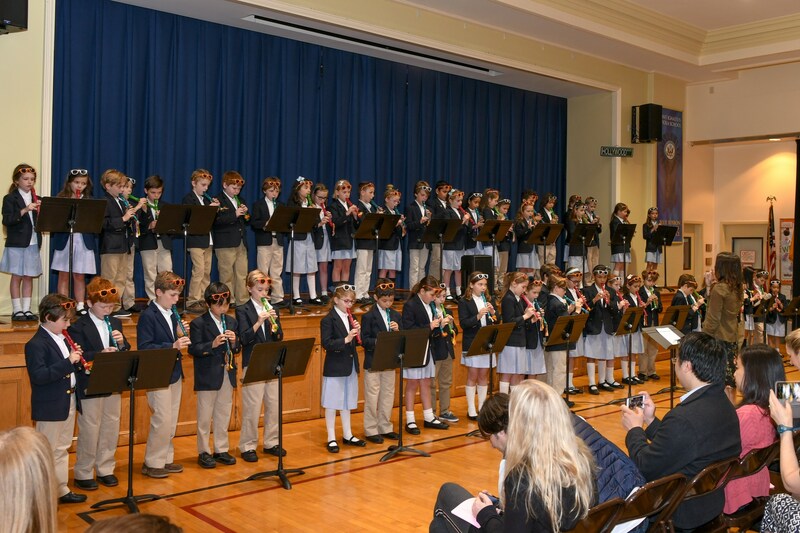 A highlight in the fourth and fifth grade music program is the study of folk music and dance and culminates in the creation of original dances. Sixth grade students compose 12 bar blue compositions. Seventh and eighth grade students, through a two-year study of the ukulele, learn the fundamentals of chord analysis and structure and how to compose simple melodies for vocal accompaniment. Eighth grade students address social issues through the writing and performing of personal rap poetry. Music comprehension and ability develop through the study of reading and writing music, exploring musical genres and performing in musical productions.